The stone-age, cave-like beings of Zeon have certain death coming straight at them in the form of the neighboring planet Tareon. Zeon and Tareon orbit their sun in opposite directions, and every time they pass each other, Tareon draws Zeon closer and closer to Tareon's own orbit path. With no technology and only just beginning to discover electricity, the Zeons have no chance for survival. Follow the family of Kairn; his wife, Rayelle; teenage daughter Evene; and younger son Trillo as they and the other two million Zeons try to survive the convergence of planets. 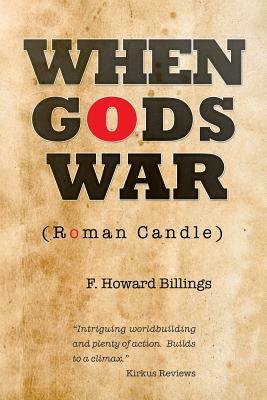 When Gods War (Roman Candle) is a war of worlds-not between the peoples of those worlds but between the planets themselves. And the two million simple beings of Zeon are caught in the middle. With no technology and no hope, all two million Zeons just might die, until one day, a lucky few of them discover something that just might change everything.